Kyra is a pluri-disciplinary choreographer, dancer, and teacher living in Paris, where she has been creating since 2017. Her work is dynamic, challenging, and feminist. She began dancing at age 2, tagging along to stretch class with her mother. Kyra has trained in styles ranging from classical ballet to contemporary and modern dance to contact improvisation with master teachers from the Eisenhower Dance Center, the University of Michigan Dance Department, and all around Paris. Kyra has performed in various BFA and MFA thesis works, and with Ann Arbor Ballet Theatre and Ann Arbor Dance Works. In 2015, Kyra moved to Paris to pursue a Master’s degree in translation. 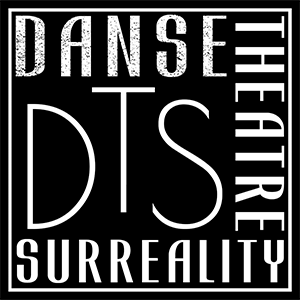 In 2016, she met Lauren Hlubny, and Danse Theatre Surreality was born. Lauren Hlubny is the NYC Artistic Director of Danse Theatre Surreality and a founding member of Anomalous Co. Hlubny’s work is highly imagistic, physical, and interdisciplinary between experts in the fields of music, dance, theatre, and circus. Hlubny has been invited to create work in Seattle at On The Boards, the Neuroscience Department at UAB, the Marigny Opera House in New Orleans, and in various museums nationwide including the Dali Museum. Hlubny’s works have also toured to France and Italy. In NYC, she works as a director and acting coach on an array of projects at venues including Triskelion, Theatre 54, and BAX. She also dramaturgs by aiding choreographers in building accessible narratives. This season she is advising on an evening-length contemporary ballet by Coriolis Dance. In August, Hlubny will also be making her opera debut as a choreographer and director in the dell’Arte Opera Ensemble’s La Mama season. Casey Lynne is currently working in Paris as a freelance artist specializing in mime and clown. She holds a degree in Theatre Studies (honours) from the University of King’s College/ Dalhousie University. She studied Mime with Elzbieta Jaroszewicz at Studio Magenia for three years(2011-2014). She is currently studying with Fabrice Salé (Red Nose clown 2nd year) and for a third time participated in a workshop with American clown Ira Seidenstein (theatre clown-till she dies?) in October. She last worked with Lauren in June of 2016 in Lauren’s “Life is a Dream Tour” as Clarin. Recently, she directed and wrote a piece titled “Je Sens Que Vous Êtes Mauvaise: Concerto Pour Mime en Sextet”. Karen trained at Canada’s National Ballet School under Qing-Yun Yu, ex-dancer at the Shanghai Ballet. She has performed with the Little Pear Garden Dance Company in Toronto, and has been part of various festivals and performances throughout Canada. Called “insanely clever” by ClassicFM, UK Thomas Giles is a NYC-based saxophonist devoted to contemporary music and the creation of interdisciplinary work. He is the baritone chair of the Mana Quartet, performs a growing number of solo engagements, and often collaborates with artists of other media as multi-instrumentalist, improviser, and composer. Kaori started her dance training at 8 years old at classical ballet school. Then she attended Staatlichen Ballet Schule in Berlin for short time. She studied the basics of contemporary dance at Laban in London for one year, and also learned a little Latin dance during her teenage years. Kaori is now a freelance contemporary dancer, collaborating with musicians and performing as a member of DTS. She calls her dancing “la musique visible” and is happy to work with all kinds of artists. Claire Vercruyssen is a circus and dance performer/instructor located in Brooklyn NY. She is a second generation circus performer where she grew up in an amazing circus community where she learned many of her circus and performing skills. She started her dance and circus training at the age of 6 and continued her dance training at Florida State University where she received a BFA in dance. She has worked closely with Lauren Hlubny on two of her projects DAlI and Life Is a Dream tour, where she loves to collaborate and explore surrealist ideas in new environments. She is now teaching circus all over New York and is working on exploring the relationship of dance and circus and how we can expand the idea of the traditional circus. Cathleen Marie Thérèse Parra is a photographer and burlesque performance artist living in Jersey City, NJ. She has studied Photography & Media Arts at Parsons The New School For Design in New York City and New Jersey City University in Jersey City, NJ. Her work deals heavily with gender roles and female sexuality. She has explored these topics through the mediums of photography, video art, installation and performance art, exhibiting work throughout the country and internationally. Rebecca Curran is currently pursuing her masters in dramaturgy at the American Repertory Theater for Advanced Theatre Training at Harvard University. She has a background in classical ballet, acting, and directing. She will be completing a residency with the Moscow Art Theatre School in Russia in the spring of 2017 before spending time in Ireland to study Irish theatre and conduct thesis research. She has attended intensives abroad at the Guildhall School for Music and Drama as well as the Fontainebleau School of Acting. Laura Fisher is a classically trained and contemporary-minded composer, vocalist, pianist, poet, and producer. She studied piano under celebrated Juilliard alumnus and Music Teacher’s National Association Master Teacher Meral Guneyman (1995-2003) and is a largely self-taught vocalist and composer. Her genres of influence and interest include rock, pop, electronica, jazz, noise, chamber, and experimental fusion. Fisher has competed, collaborated, and performed all over the United States — from house venues in Savannah and Athens, GA to caves off the coast of Portland, ME; from a bicycle shop in Denver to the forests of southern NJ; from the Birmingham Museum of Art in Alabama to Merkin Hall at Lincoln Center in New York City. Her current creative projects include Matron, a math rock/angular pop/indie post punk band; Tranche, a dreamscape grunge rock band; a dream pop band for solo compositions simply under her name at this time; and Dance Theatre Surreality. Fisher resides in New Orleans, Louisiana. Allie was born to a stage manager and costumer mother, directly into the world of theater. She appeared in her first stage production at the age of 5 (Hugh the Drover with the Bronx Opera) in front of an audience of 2,000. She went from running around in opera choruses and turning the pages for rehearsal pianists to children’s theater and community theater in New York and South Florida. She was the youngest ever president of her high school’s drama club and directed her first play – The Odd Couple – at the age of 15. She majored in Theater at Florida State University (where she first met and made art alongside Lauren Hlubny) and while she didn’t complete the program, she never shook the bug. She is proud to contribute to Danse Theatre Surreality and expand her exploration of the theatrical arts with like-minded artists. Emily Regen began dancing as a professional in Paris with the Modern Dance Ensemble. She obtained a scholarship from the Martha Graham Contemporary Dance School where she studied modern dance for 2 years while performing with Graham 2. She also performed with different company projects including Kun-Yang Lin/dancers, Martin Lofsnes’ 360° Dance Company, and RIOULT Dance NY. Today, she currently lives in Paris and work as a ballet and contemporary teacher. She is also certified in GYROTONIC and a pilates instructor. Melissa Slaughter spends a lot of time on her computer. That is, when she’s not creating art with Lauren Hlubny. After working on Life Is A Dream: Paris, Melissa decided to put her skills to good use and become the social media manager of Danse Theatre Surreality. She also runs her own nerd-girl Facebook page, Fangirl Gathering, and is a correspondent for the youtube channel Telemazing. She loves Dali, Warhol, Sondheim,Tumblr and Doctor Who. After spending four rainy years in Seattle, Melissa made the permanent move to New York City.